In matters of literature, art, music, food and the like, the notion of having all-time favourites is, quite frankly, obtuse. What is the world’s best oratorio? Or novel? Or Pinot Noir? Or poem? Or typeface? Or woodcut? Or restaurant? To ask these questions is to answer them. It is to be hoped that, as time passes, one evolves and, through continuing exposure to what’s new (and old), one’s tastes will be broadened and shaped. What may loom large amongst one’s enthusiasms today may recede into the background tomorrow. So it goes. This being the most personal page on this website, I will say what I have to say here in the first person. So. On with it. I humbly offer up below a number of personal enthusiasms, some of which have been favourites for a long time and some of which have caught my fancy more recently. They are offered in no particular order. The content in this area of the website will shift as my desultory wanderings through the worlds of literature, art, music, food and the like dictate. I claim no credentials as an arbiter of what is good and enduring in such matters; rather, what you will see are the sometimes transient preferences that reflect what has appealed from time to time to my personal taste and aesthetic sense. Readers will have noticed that I have been neglecting this website, and this page on it, of late. But I’m back at it now and, time permitting, a new “enthusiasm” will be added here every few weeks. Jazz Genius Hugh Fraser: He’s Back! Hugh hits a sustained high C! 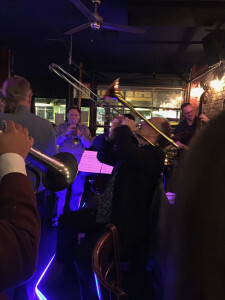 Hugh has brought along so many young musicians over the years that, at the tender age of 60, he is already an eminence grise within the jazz world. He is the quintessential mentor. He has taught and performed on several continents. His work has won multiple Juno and other awards. 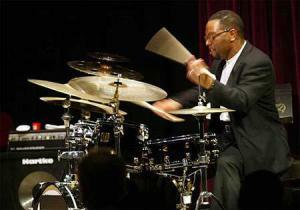 He is one of the few who have truly put Canadian jazz “on the map” internationally. But beyond all of that, Hugh is a kind, loving and dear dear friend to those who are close to him. Thus, when he told us two years or so ago that he had fallen ill and was facing some very significant health challenges, Lydia’s heart and mine sank. Over the past two years, Hugh has, to be sure, been to hell and back. He has had to take time out from performing and concentrate on his health. Like Hugh, I don’t want to dwell on that dark chapter. What matters is that Hugh is back!. Things are, at long last, coming together for him health-wise. 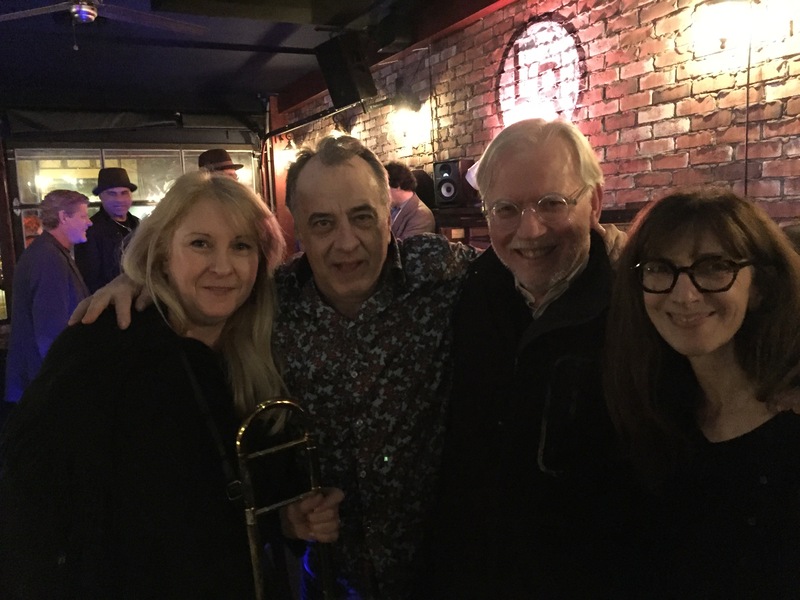 We recently celebrated Hugh’s 60th birthday with him and Lorae on a beautiful, late October evening at a Vancouver jazz club. Hugh’s fantastically talented son, James, and his quartet played the first set. Several of Hugh’s musician friends were there to join the celebration (and to play along with James’ quartet), some coming from as far away as New York. Hugh looked and sounded great. And he played his trombone with his familiar elan and gusto. Hugh’s instrumental voice is like no other. We have been missing it. Badly. But not anymore. What an evening! What a joy to see our friend bringing down the house the way he used to do. And there’s another birthday-related show coming up tomorrow. Welcome back, kid. We love you and we’re so, so happy to see you looking and sounding so great. We knew you could do it. And you have. Bravo! On February 19, 2016, Barney Devlin died. 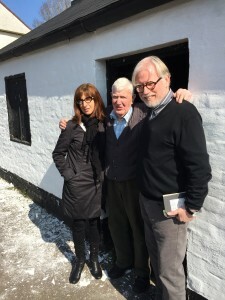 This sad news reached us through our friend, Eugene Kielt, who (with his lovely wife Gerardine) operates Laurel Villa in Magherafelt, South Derry—a guest house to which every Seamus Heaney enthusiast ought to make a pilgrimage some day. 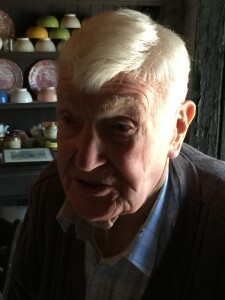 Eugene is an exceptionally learned Heaney scholar who conducts inspiring and informative walking and driving tours to places scattered around the Castledawson and Bellaghy areas of South Derry which figured prominently in Heaney’s work and life. It was Eugene who took us to visit Barney at Hillhead in April, 2015. We spent a remarkable 90 minutes or so with him there. He welcomed us into The Forge, regaled us with anecdotes and memories and taught me how to hammer on the anvil and work the bellows that, like Barney the blacksmith himself, have been immortalized in two of Seamus Heaney’s best loved poems, “The Forge” and “Midnight Anvil”. Barney was a remarkably sharp and engaging raconteur. He was kind and welcoming and had a lively sense of humour. He was (strangely) as interested in us as we were in him. 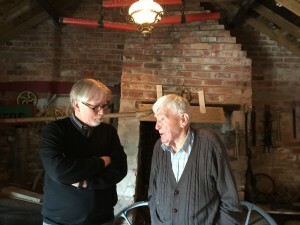 Not long after Seamus Heaney died, BBC Ulster produced a brilliant retrospective on the late poet’s life which contains an endearing interview with Barney at The Forge. 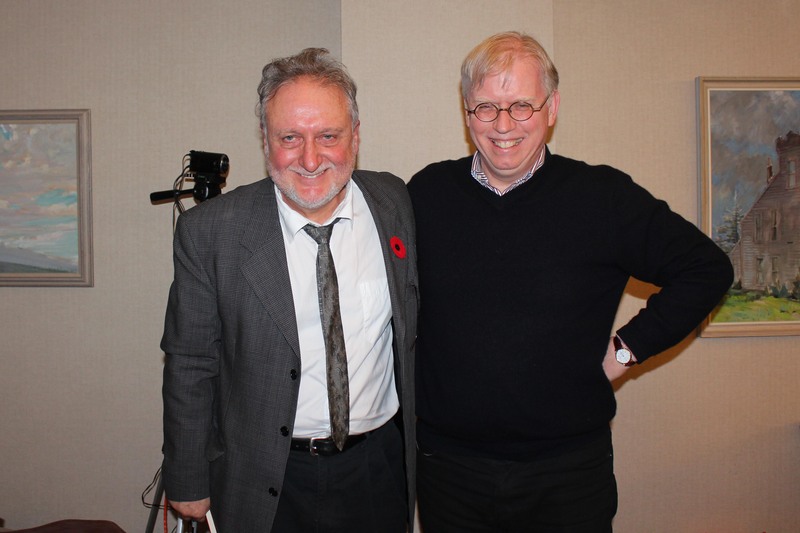 You can listen to the podcast of that retrospective by clicking here. Lydia and I will not soon forget the time we spent with Barney Devlin. With all of that vitality and nimble conversation, it seemed impossible to us last April that he could be in his mid-nineties; it seems even less possible now that he has left us. We can only hope that, before he died, he was able to reach the bottom of that bottle of Canadian maple syrup we dispatched to him for his pancakes as a small token of our thanks for the generous hospitality he showed us. Every now and again—but not often—a film comes along that shakes your world and leaves you properly and justly unsettled. Yes, “unsettled” is the word. Worthy cinematic art does entertain us but it brings us difficult truths, too, in ways that neither didactic instruction nor strident polemics ever can. Worthy cinematic art that takes on important issues can work its way under the viewer’s skin and then stay there for a long while. Like a rung bell in a cavernous bell tower, worthy cinematic art resonates well into the night and provokes introspection long after the initial blow. In a word, it leaves us fulfilled but discomfited; it leaves us in a better place than the one we occupied when it first found us. Thina Sobabili (which, in Zulu, means “The Two of Us”) is a film that simply must be seen. It is “worthy cinematic art” in every sense referred to above. We should not be surprised to find that it is the work product of independent South African filmmakers and producers who did not have access to the resources of the big players. These remarkable artists have taken chances that the big players seldom, if ever, take. Credit is due to many for the marvel that is Thina Sobabili but neither time nor space permit me to list them all here. I must specifically name three, though. First, there is Ernest Nkosi, the writer of the screenplay, the co-director and the co-producer of the film. Like all of his collaborators on this project, Ernest is blessed with genius and humility in equal and generous measures. We saw the film at the historic Rio Theatre in Vancouver in early December and Ernest and three of his colleagues were there to introduce it and then answer questions. What humble, articulate and gifted men they are. To have conceived the idea, written such a brilliant and arresting screen play and then (with his colleagues) executed on the project by rounding up funding and then shooting the film in seven days is a superhuman achievement for which Ernest deserves immense credit. Next, there are the two lead actors—Emmanuel Nkosinathi Gweva (who plays Thulani) and Busisiwe Mtshali (who plays Zanele). They are local actors from Alexandra, an impoverished but undaunted township that is situated near Johannesburg. Gweva and Mtshali are endearing, unspoiled and perfectly cast. Their acting is flawless. I do not wish to say a great deal about the plot for fear of taking something away from the experience for the reader who has not yet seen the film. I will say that the challenges faced by the male lead (Thulani)—himself barely out of his teens—who, alone, must take care of his younger teenaged sister (Zanele) as she presses for greater independence, are very well conveyed. Thulani’s exasperation with Zanele’s high-risk limit-testing with South Africa’s notorious “sugar daddies” drives him to violence that he immediately regrets—violence that is a sad echo of violence he had witnessed at an earlier time within the family when it was still intact. The film’s flashbacks to past traumatic events gradually fill in the gaps and bring us to an understanding of how it came to pass that these two innocents must make their way in the world together but alone. There is one scene in Thina Sobabili involving Thulani and Zanele’s parents—living by then at a considerable distance and estranged from them—in which the oppressive force of violence within a marriage is brutally portrayed. The scene is very difficult to watch, yet it is a necessity that it be watched. The violence is graphic yet not gratuitous. The man’s words are as appallingly brutal as are his appalling physical actions. The sense of the entrapment and powerlessness experienced by the woman during the scene is heartbreaking, horrifying and palpable; yet her courage in moving out of that impossible situation the next day is restorative and inspiring. Inasmuch as intra-familial violence remains a scourge within societies across the world (including our own society in Canada), Thina Sobabili makes an important contribution to the effort to root out that scourge by giving the film’s viewers—particularly its male viewers—a very real, personal, immediate and distressing vicarious experience of it. There are lighter moments in the film as well. We catch glimpses of humour and of the emancipating force exerted by courage and love. We see human resilience writ large within living conditions that, for many Canadians (though by no means all), are almost unimaginable. 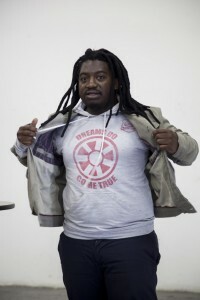 Ernest Nkosi and his collaborators grew to adulthood in the world that is so compellingly portrayed in Thina Sobabili and the fact that they have found a way to bring this brilliant portrayal of that world out into the open—with all of its crushingly sad and hopeful aspects—is a testament to the redemptive power of the human spirit and the art it inspires. 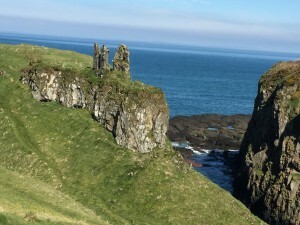 Dunseverick Castle, truth be told, is a paltry ruin. By comparison to Dunluce Castle, a few miles west, it barely warrants a second look. 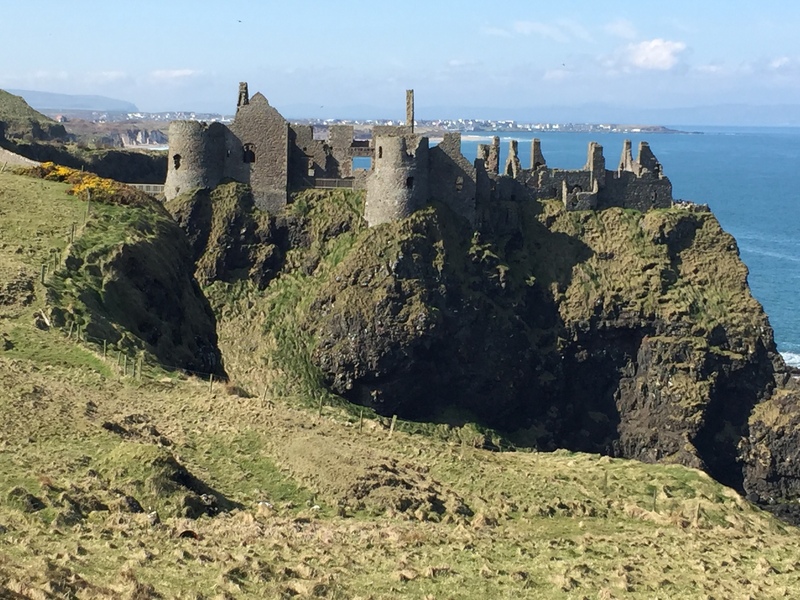 Almost anyone driving by, taking in the magical environs of the Antrim coast from Portrush to Ballycastle and not having been told to watch for it, would surely miss Dunseverick. A couple of upthrust remnants, like dead teeth in an old man’s jaw, are visible from the road. There’s little more to see. And you are hard pressed to find a place to park the car. But Lydia and I had been told by our friend Eugene to watch for it, and stop there. So we did. 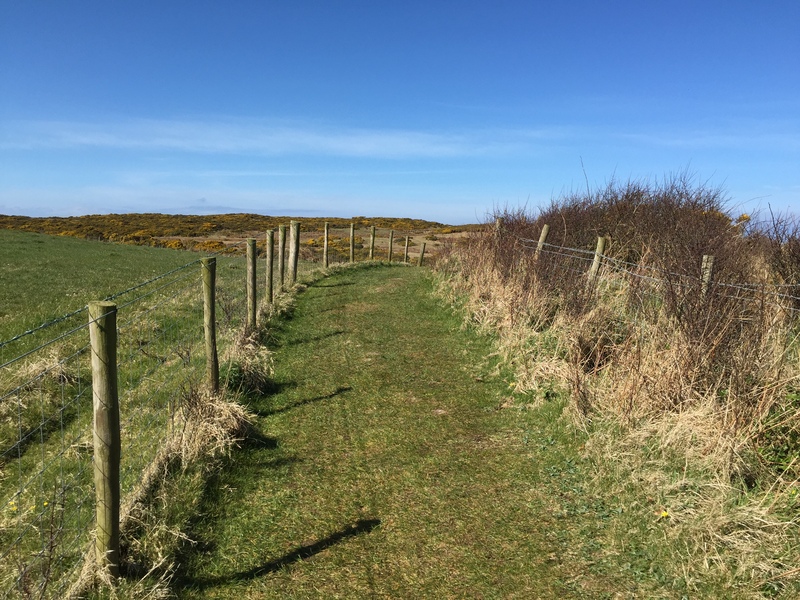 Soon, as we picked our way toward the bluffs, we found (as we had been told) that a footpath follows the grassy verge of the sheer basalt that drops from a dizzying height to the sea below. The footpath traces the verge of those bluffs, sometimes at an uncomfortable proximity, for miles and miles it seems. We had the sense that if we had kept walking westward we’d have ended up eventually at the Giant’s Causeway. If only there had been time. As it was, we finally turned back after three miles, or maybe four, feeling so very grateful for having received Eugene’s brilliant recommendation. This meandering footpath, which we picked up at Dunseverick and pursued westward, exposes the walker to a unique blend of contradictions that is emblematic of so much of what makes Northern Ireland so mysterious and alluring. Like Helliwell Park on Hornby Island in British Columbia’s Gulf Islands, the soft grassy surface of the bluffs gives no immediate sense of what precipitous, craggy dangers lurk immediately below. Here we find gentle and starkly menacing land forms subtly conjoined. Wander too close to the edge and, in some places, you could fall to your death. This stretch of coastline, especially when viewed from the footpath that brings these elements together, is indescribably, breathtakingly, almost sacredly beautiful. Rolling farmlands gently approach and then halt abruptly at the province’s northern margin. A steely blue sea stretches out northward toward Scotland, and white waves perpetually pound the shoreline below, even on a mild and sunny morning. Rathlin Island slumbers in the distance, shrouded in a fine mist, its history of massacres and triumphs of telecommunication (Marconi’s first wireless telegraph was sent from the island’s East Lighthouse to a site in Ballycastle) for now quiescent. I am embarrassed to say that it is seldom that a spectacle of the natural world has been able to stir me to something approximating rapture. But it happened here on the Antrim Coast, for both of us, at Easter in 2015. 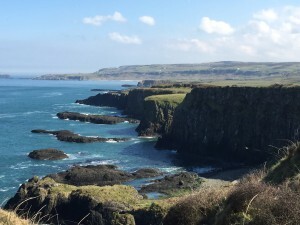 To get an even better sense of the beauty of the Antrim coast near Dunseverick, you may access a short video clip I filmed on my iPhone 6+ by simply clicking here. Book design is a consuming passion for me, as is typography. For this reason I have always been reluctant to embrace, uncritically and unreservedly, the truism, “You can’t judge a book by its cover”. Undoubtedly there is a kernel of truth in that truism. But a publisher that invests effort and talent in making its offerings pleasing to the eye can often, if not usually, be taken to have been equally attentive to the content of what it publishes. I can think of few examples of great books with ghastly covers and disappointing overall design. I can think of even fewer books with markedly attractive covers evincing solid design values but whose content amounts to dross or drivel. If there is a world leader in the area of book design, in my respectful view it must be Faber & Faber. Over a period of many decades, Faber & Faber have published some of the most beautiful “books as objects” the world has ever seen. It helps that from T.S. 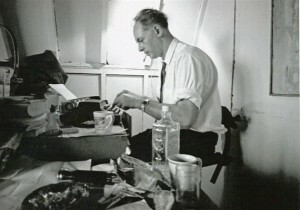 Eliot’s day to the present they have consistently had a stable of extraordinary authors. But, from early days they have also taken great care with the aesthetics of publishing. You will never find a Faber & Faber title with such shallow gutters that you must force the pages so far apart in order to be able to read the endings of the lines on the verso and the beginnings of the lines on the recto that you imperil the integrity of the spine. The interplay between the typefaces used to set the chapter titles and headings and those used to set the body text is always “artful and knowing” (just like Eliot’s Rum-tum-tugger). The choice of the paper—for the covers as well as the pages proper—always pleases. No flimsy newsprint-like leaves wrapped in unappealing, shiny cardstock with embossed lettering in silver and gold here. And the text-intensive covers: What can one say? They are so striking and graceful in their simplicity. Perfectly exquisite. 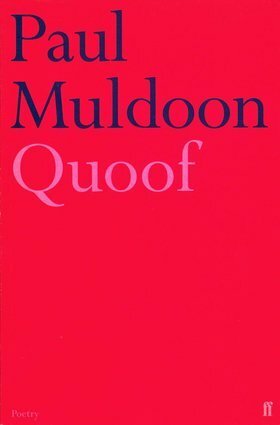 I picked up my copy of Paul Muldoon’s Quoof in an outdoor book market in Temple Bar on a sunny June day in 2012. Happily (it being a thin volume) it was lying face up on a stack of less worthy titles so it did not go unremarked. My eyes were drawn to it directly. How could they not be? Faber & Faber are commercial actors and, like their brethren in the increasingly beset world of publishing, they have to sell their products. I get that. But they don’t need to thrust their name under your nose like an aggressive Fox TV reporter’s microphone in order to make you aware of who is responsible for their creations. Their “brand” is revealed in the adept and skilful way in which their primary mission—presenting fine writing in readable objects which are paragons of subtlety and finesse in design—is executed. There is no whiff of the Coney Island hot dog or the carnival barker’s body odour that seeps, figuratively, out of the branding and bindings of Faber & Faber titles. Nothing like that at all—just pure art that speaks softly, but insistently and confidently for itself. There is, happily, a Faber & Faber book written about Faber & Faber book covers. Everyone who loves books should have a copy. 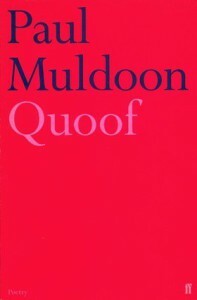 Entitled Eighty Years of Book Cover Design, it was written in 2009 by Joseph Connolly as part of the company’s 80th anniversary. Until you pick one up, though, you can feast your eyes on many of the covers featured in Connolly’s retrospective by visiting a Flickr webpage devoted to Faber & Faber book covers by clicking here. The Flickr webpage is a veritable feast for those who, like me, will never forsake the reassuring heft of an exquisitely designed book in the hand for an e-reader. Yes, it’s true that real books weigh down the luggage when one travels. Get over it! So do bottles of wine and I’m not going to substitute a wine-bottle-shaped scratch-’n-sniff wafer for the real thing the next time we fly home from Italy. Which reminds me. 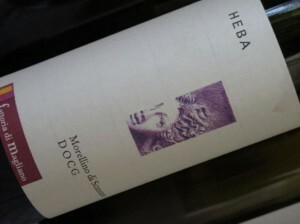 Heba Morellino di Scansano D.O.C.G. (della Fattoria di Magliano) is the wine which we chose to accompany dinner in Rome a couple of years ago. We selected it largely on the basis of the simple beauty of its label. È meraviglioso, non credete? You see? You can often judge a wine by its label too. The Heba was such a delight that I secretly special-ordered two cases for Lydia for Valentine’s Day the following February. Che gioia! But that’s another story. Increasingly, we are finding that life in East Vancouver has a small town feel. This is a good thing. It gives us a sense of belonging and, to use an overused term, a sense of community. When shopping we have always shunned the big box outlets where lower prices come at a steep price indeed—that is, at the expense of selection, sensibly sized portions and, perforce, the social dimension that leavens the obligatory task of provisioning the house each week. 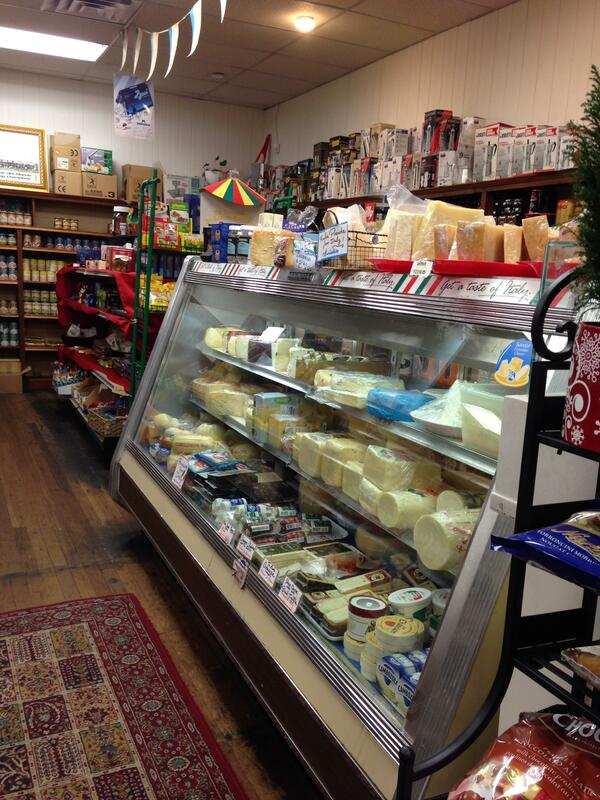 We are on first-name terms with most of our local merchants. Just a couple of days ago we were on our way to an in-house Christmas jazz concert and needed a panettone to bring to our hosts. Having both been kept a bit late at work, Lydia and I found that it was a little past closing time when we got to the deli en route to the show. But the lights were still on. Franco and Mirella were doing their end-of-the-day tidying. They saw us on the sidewalk, opened up for us, looked after our needs and sent us on our way—panettone in hand and a handful of torroncini for the road to boot. That’s village life. Many beautiful things happen on a small scale in our neighbourhood. One of the best examples ever was that in-house concert of a couple of nights ago. We became great fans of the Whitridge boys the first time we saw them busking at the Trout Lake Farmers Market two summers ago. Trevor, now 17, plays the trumpet; Rowan, 13, plays the sax. These boys are both phenomenal jazz prodigies. (See for yourself by clicking on this link.) And their parents, John and Trudy-Ann, have gently encouraged the growth of their sons’ talents to incredible effect. Trevor and Rowan have been plugged into a network of great musical influences since they were little boys. Currently, they are receiving lessons in trad and improvisational jazz from Evan and Arnt Arntzen, members of the dynastic Arntzen family. Together, both sets of brothers put on the Christmas performance two days ago that I mentioned above. The venue was the Whitridge family’s living room. A group of about 20 shared this wonderful experience. Just as it is an incredible privilege for the Whitridge boys to be able play with, and learn from, musicians of the stature of the Arntzens, so also it was an incredible privilege for those of us who were gathered in the Whitridges’ living room to be treated to their rich musical offerings. There was an easy-going and relaxed atmosphere. Evan and Arnt were sweet with their young protégés—encouraging them to step out and take their improvised solos. The Arntzens played their own parts with the great mastery that has earned them their own well-deserved reputations. The performances were, altogether, tight and brilliantly executed. Both Trevor and Rowan took their turns playing complex improvisations, weaving them into the fabric of traditional pieces that, in several cases, they had never heard before. They did it unselfconsciously and oh so skillfully. The repertoire was varied and included several jazzy arrangements of Christmas classics. Members of the small audience were pleased to join in vocally. Holly Arntzen—Evan and Arnt’s fantastically talented and famous aunt—stepped up to lead the vocals on “There’s a Hole in my Bucket”. She brought the house down. There was chai tea, Christmas baking, Trudy-Ann’s remarkable samosas and, yes, our panettone to enjoy afterward. And there were some old friends to catch up with and new friends to meet and get to know. Small, intimate and genuine. Yes. Village life is good. When kraft paper is manufactured, wood fibre must be treated chemically in a digester to remove lignin and other substances in order to turn it into pulp. The chemical agents and the substances they remove combine to form a byproduct, a toxic liquid industrial waste, called “black liquor”. I know this because my father worked for most of his life in the pulp and paper industry. I put in some hot and sweaty summers myself at a pulp mill when I was a student back in the early 1970s. So I have seen black liquor up close too, although I wouldn’t call that black liquor an enthusiasm. But Black Liquor is also the title of a newly released book of poetry by the accomplished British Columbia novelist, Dennis E. Bolen. It is published by Caitlin Press. Bolen is best known for his hard-hitting and gritty fictional writing, beginning with the ground-breaking Stupid Crimes in 1994. He experimented as a youth with poetry and, just this year, he has returned to the medium. For this we can all be grateful. Black Liquor is a tour de force. It is, most emphatically, one of my current enthusiasms. He could galvanize the dead with his talk. It was a sort of devouring process: when he described a place he ate into it, like a goat attacking a carpet. If he described a person, he ate him alive, from head to toe. My father slipped from this world’s grasp, and mine, on September 2, 2013. His suffering is ended. Our grieving is now full upon us and it carries a mighty weight. 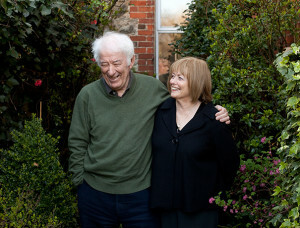 He left us three days after Seamus Heaney died: both of them dear, strong and admirable men. 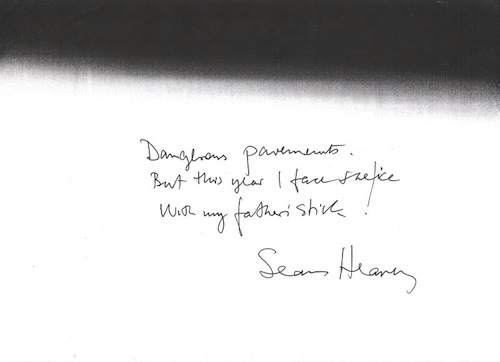 Heaney wrote a haiku to mark the loss of his own father. It is perfect in its simplicity—in its acknowledgement of that which endures in the wake of a crushing loss and of the weight that that which endures can and will bear. These comforting yet unsentimental words are best appreciated, though, when seen as inscribed in Heaney’s own hand. Is it strange to wax enthusiastic about clouds? I would like to think not. I am not speaking here of the great woollen mats of thick cloud that blanket the Lower Mainland of British Columbia for weeks at a time, blocking out the sun and bathing the land below in a depressing blend of leaden light and slanting rain. No. Not those. It is the awe-inspiring, billowing cumulus clouds upon which John Constable built his reputation as a painter, at least in part, that capture the heart and the imagination. Clouds of that kind undoubtedly inspired Joni Mitchell’s timeless album, Clouds—released in 1969—and David Mitchell’s stunningly brilliant novel, Cloud Atlas, written 35 years later in 2004. The fact that clouds are ever-changing and ephemeral contributes to our fascination with them. If one does not pause occasionally to notice them, then the opportunity will be lost. Such pausing is a salutary practice, akin to pausing to savour the smells of morning coffee and of roses. These other ephemeral pleasures can, famously, also be passed by to our detriment as we rush forward in our busy lives with our eyes trained on our smart phones and our minds abuzz with the business of the day. I was amazed to discover, recently, that there are people who are so enraptured with clouds that they have joined together to form a Cloud Appreciation Society. They have a manifesto, even. It celebrates clouds in all their multivariate forms and decries, in a tongue-in-cheek way, “blue sky thinking”. You can read more about the Cloud Appreciation Society by clicking on this link. 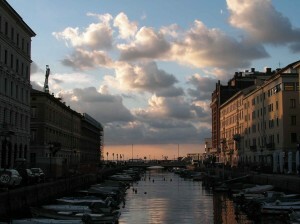 We spent a little less than a week in Trieste last year. We were drawn there mostly by a desire to take in all of the places where James Joyce lived, loved, wrote, drank (and undoubtedly smelled) his afternoon coffee and, generally, steeped himself in the life of one of the world’s most resolutely cosmopolitan cities. Having the Joycean stations of the cross to guide us ensured that our time in Trieste had a loose structure and left us enriched with new literary knowledge. But Trieste—happily, a beautiful and enigmatic city that has yet to be discovered by most of the tour bus companies—gave us much more than an enriched perspective on Joyce. It gave us a rich and authentic experience of a confluence of cultures quite unlike anything we have experienced anywhere else in the world. And, oh yes, there were the clouds: clouds captured in the remarkable artworks of the late Pietro Grassi on display at the Pescatore di Luce (Fisher of Light) exhibition that was running during our visit, and clouds on display in real life at sunset over the Grand Canal. Thankfully, those particular clouds are less ephemeral, having been captured and preserved in, respectively, the Pescatore di Luce exhibition catalogue and in a photograph I took. Both bring the rich experience of Trieste flooding back every time we look at them. It must be said that Ethel Wilson deserves more readers. Everyone should rush out and read more of, and about, her writing. She had a prodigious talent and she cultivated it at a time when, as a woman writer particularly, all the odds were stacked against her. The novels—Swamp Angel, Hetty Dorval, &c., &c.—provide complex, articulate portrayals of life in Canada and abroad at an earlier time. The writing is poetic, poignant and arrow-through-the-heart accurate in its portrayals of human strengths and failings. Unquestionably it retains its relevance today. The short story “We Have to Sit Opposite” showcases another of Wilson’s talents: her dark and brooding wit. I cannot get enough of it. The story is collected along with several others in Mrs. Golightly and Other Stories (Toronto: Macmillan, 1961). My copy of that book, like many other Ethel Wilson titles in my library, once belonged to Nan Cheney. Its title page is inscribed “Dear, dear Nan – my love – Ethel”. Where to begin with “We Have to Sit Opposite”? Two Canadian women share a cramped compartment on a crowded train with a German family travelling from Salzburg to Munich. The atmosphere is tense and awkward. The patriarch (the “man with the blue tooth”) is large in bulk, domineering, rude and impatient. His wife and daughter are absurdly servile, dutiful and meek. All three have staked their claim to certain seats and luggage racks in the compartment. Through forbidding body language and periodic sharp comments, the Canadians are made to feel like unwelcome intruders. Mrs. Forrester and Mrs. Montrose experience a combination of amusement and creeping horror as they observe the German family’s strange habits and endure periodic directives aimed at safeguarding its members’ every comfort. About their suitcases, for example, the man with the blue tooth remarks: “‘It is better … that if they fall, they should fall upon your heads, not upon our heads. That is logical. They are not my suitcases. They are your suitcases. You admit it. Please to move your suitcases to the opposite rack, where, if they fall, they will fall upon your own heads.” Many of these directives are bracketed by the observation, “It is logical.” Mrs. Forrester and Mrs. Montrose hardly know where to look in this confined and claustrophobic space. The Canadian women strain not to show their amusement. It is no small challenge. They are truly tested when the German wife and daughter employ moistened napkins to wash the man with the blue tooth as he dozes. In an attentive and thorough grooming, they carefully dab and wipe “… his face, his ears, round the back of his neck and inside his shirt collar with great care. ‘Like a cat,’ thought Mrs. Forrester, who has forgotten to shut her eyes.” It is not possible to read this story without yielding to the impulse to laugh, though the impulse is constrained to a degree by revulsion and growing unease. “We Have to Sit Opposite,” like some other stories in Mrs. Golightly, is surreal. Its humour is interwoven with dread in a perfect, unsettling blend worthy of comparison to Kafka. 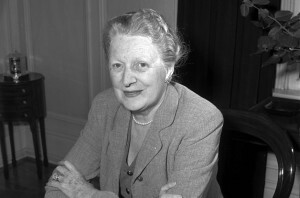 Ethel Wilson, born in 1888, began life as Ethel D. Bryant. She moved from South Africa to England before emigrating to Canada. 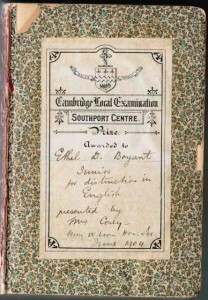 While in school in England she sat the Cambridge Local Examinations at Southport Centre, Lancs. It was 1904. She was sixteen. Ethel Wilson’s prescient English teachers recognised that she had a conspicuous literary talent and awarded her a copy of Justin McCarthy’s A Short History of Our Own Times (London: Chatto & Windus, 1901) for “distinction in English”. I have that very copy in my library now and, below, you will see a scan of the bookplate pasted into it that commemorates her early scholarly achievements. While no writer can ever be said to have enough readers, Carol Shields had and has very many of them indeed. During her lifetime, the late and much-missed Canadian novelist and short story writer gained the notoriety and the recognition to which she was justly entitled—something that fate denied to Ethel Wilson. Carol Shields’ reputation is built largely upon her novels, and rightly so. She also earned great respect for her scholarly writing (which included a fine biography of Jane Austen published in 2005). But I believe that her short stories, while widely acknowledged for their literary merit, remain underappreciated. Indeed, I think that they are every bit as deserving of hagiographic comparisons to Chekhov and others of his stature as are the justly celebrated short stories of Alice Munro, and for some of the same reasons. In her short stories particularly, Carol Shields probes and unpacks the minutiae of seemingly ordinary lives. In the process she exposes the profundity and human truths which animate the hopes and fears of her characters and which animate her writing as a whole. The writing is unfailingly economical; it is artful and rich in poetry. Subtle and nuanced descriptions of interior and exterior landscapes abound within the narrow compass of perfectly crafted, slight narratives. Of them all, three of Carol Shields’ short stories have drawn me back, again and again. They are “Others,” published in Various Miracles (Toronto: Stoddart, 1985), and “Chemistry” and “Hinterland,” both published in The Orange Fish (Toronto: Random House, 1989). The tidal pull of “Hinterland,” for me at least, is the strongest. Some of the reason for this, I think, can be found in the fact that a few years ago I had the chance to re-read the story in Carol Shields’ own copy of the spring, 1989, issue of Prairie Fire (where it was first published). Lydia and I spent a blissful 10 days in the autumn of 2010 at “Chateau Pulitzer” as the guests of our dear friend Anne Giardini, Shields’ daughter. The house is located in the heart of the Bourgogne region of France and was bought with the proceeds of the Pulitzer Prize awarded for The Stone Diaries. 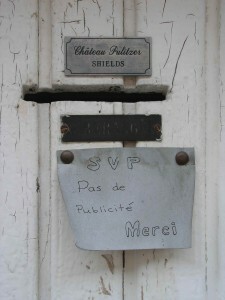 Chateau Pulitzer is a storied place in every sense. Carol refers to it in Unless. The mediaeval walled city of Cluny, which comes up for mention in “Hinterland,” is but a few kilometres away. 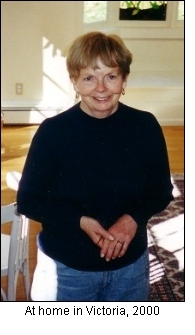 The experience of seeing many of Carol’s own copies of her books on the bookshelves, of sitting and writing at the table where she sat and wrote: how can one adequately describe or acknowledge such things? It was a magical time. “Hinterland” is, for Carol Shields, a longer short story. It examines two married people and their slow but inexorable advance toward old age, noting the ways in which they have grown together and the ways in which they have not. Meg and Roy Sloan are inseparable yet lovingly independent—in their minds and their aesthetic sensibilities. We see, as they make a late-in-life journey to France and to the Paris hotel where they spent their honeymoon, differences that (so very importantly) do not divide. He heads a technical college; she makes whimsical, one-of-a-kind greeting cards. They are thrifty and careful. They are tender with one another. They know, as aging people, that something dark awaits them and they wonder what it will be and when it will come. Roy has “begun to prepare himself for the tasks of pity and persuasion”. This anticipatory reverie lends the story an almost elegiac atmosphere of apprehension, a tremulous quality—quoting fears that can still be muted if not quite banished by the nameless something that has always bound them to one another. Differences that do not divide. Meg and Roy both acknowledge and accommodate them, but she the more so. This is one of the secrets of their longevity. As Carol Shields puts it, in Meg’s words: “They are people who move at different speeds. Their senses are differently angled.” Beautiful. And so very apt. They will get older, of course. One of them will die first—the world will allow this to happen—and the other will live on for a time. Their robust North American belief that life consists of stages keeps them from sinking, though ahead of them, in a space the size of this small table, waits a series of intricate compromises: impotence, rusted garden furniture, disordered dreams and the remembrance of specific events, which have been worn smooth and treacherous as the stone steps of ancient buildings. A certain amount of shadowy pathos will accrue between what they remember and what they imagine, and eventually one of them, perhaps lying limply on a tautly made-up bed, will gruesomely sentimentalise this Paris night. The memory will divide and shrink like a bodily protein, and terror, with all its freshness and redemptive power, will give way, easily, easily, to the small rosy singularity of this shaded lamp, and the arc of light that cuts their faces precisely in half. 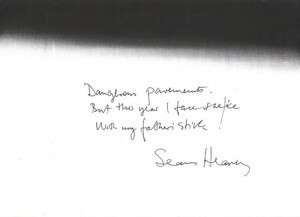 I find myself in good company in having placed Seamus Heaney in my personal pantheon. 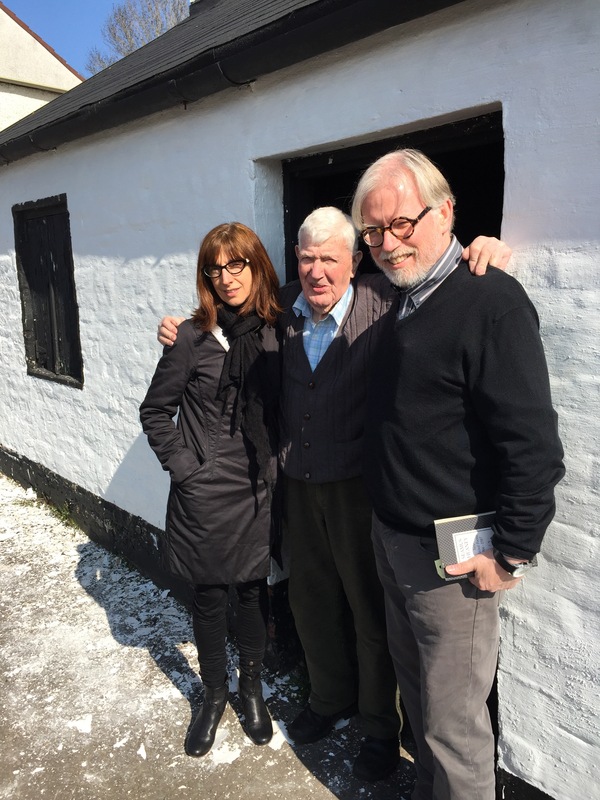 He is Ireland’s best known living poet: a Nobel laureate, a gentle giant. 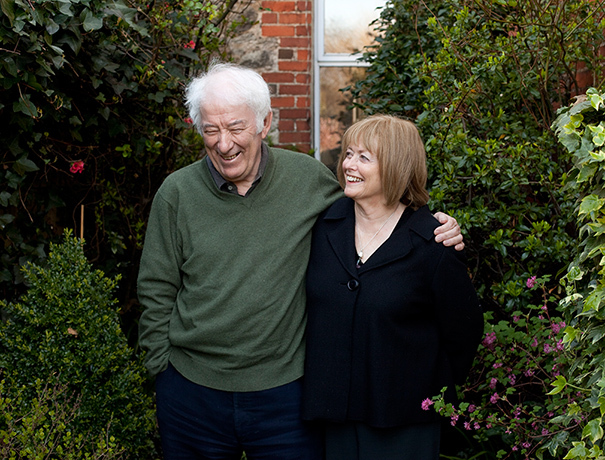 Heaney’s work is appreciated most fully when it is read aloud, most particularly by him. His accent links him permanently to the North but it has been softened by the many years that he has lived in the Republic. The vowels are less flattened now. His slow-paced delivery is thoughtful and riveting. Seamus Heaney’s poems mature in the mind after they take hold there. They linger and provide the reader/listener with the “long finish” of which oenophiles are known to speak rhapsodically. “A Sofa in the Forties” is a poem to which I find I return often. It is gathered together with many other worthy offerings in The Spirit Level, published by Faber and Faber in 1996. “A Sofa in the Forties” presents a nostalgic, though not sentimental, tableau of youthful innocence over which the shadow of the Holocaust has been permitted, unsettlingly, to fall. It is the admixture of contented reverie and nagging disquiet that causes the poem to penetrate so deeply and to linger so long. You can hear Seamus Heaney read the poem by clicking on this link. And you can hear him in conversation with the supremely talented and insightful Canadian literary interviewer, Eleanor Wachtel, by clicking on this link. Marrying into an Italian family has brought me abundant blessings, too many to count or name. One of them has been the discovery of big, rich, anthemic and sopratutto romantic songs by contemporary Italian singers. (I am tempted to say “big hair” music but that doesn’t properly get the idea across. ”Big hair” is undeniably part of it, but there’s so much more.) Our music library is now full of great examples of this genre performed by Luca Carboni, Renato Zero, Pino Daniele and a host of others. 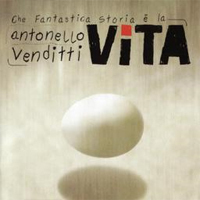 Lately, we have discovered Antonello Venditti. His magnificent Che Fantastica Storia è la Vita gets a lot of airtime at home at the moment. Venditti has a masterful command of his voice. The way he allows a line to trail off a little beyond where you’re expecting it to end is, I think, one of his distinctive trademarks. The song has just the right undercurrent of melancholy, both in the register of the music and the poignant lyrics. But it is unquestionably anthemic too–the kind of music that can propel an aging boomer to rise up from the sofa, sing along loudly (and tunelessly) and punch the air like someone half his age. (I have to thank God my grown kids aren’t around to see me.) ”What a fantastic story, life is,” indeed. 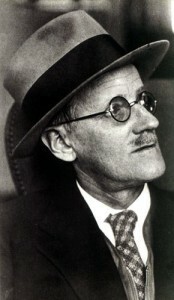 I own several copies of Dubliners, James Joyce’s collection of short stories, including a battered Penguin paperback that has my name and university residence house and room number scrawled on its ffep. The year was 1970. Happily, the collection was required reading in English 100. I was 17 when I first read “Araby.” At that time no name had yet managed to turn my blood “foolish”, but I can see from my markings and interlineations in Joyce’s text that I rightly sensed that, one day, that would happen. In the meantime, Bill Evans had already been hard at work with his trio at the Village Vanguard laying down a fitting soundtrack for the occasion. Let me urge you to give a listen to “My Foolish Heart“. It says it all. Lewis Nash is so stunningly articulate with his drum kit. A video clip, accessible via this link, features a solo played by Lewis Nash entirely with brushes. The clip displays Lewis’s grasp of the subtlety of drumming perfectly. His playing is nimble, nuanced and brimming over with passion. A tour de force. We have been so lucky to have him appear here in Vancouver from time to time and, thus, to see him perform in person. 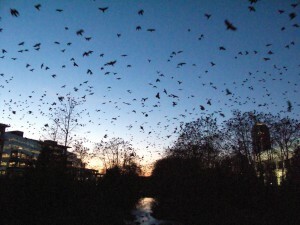 Something has happened to the crow population in recent years in Vancouver. It seems to be growing at an unchecked pace. The proliferation of these mysterious birds is not greeted by everyone with fondness; and, indeed, they can be quite destructive during the spring especially when they congregate in numbers on lawns and tear them up searching for chafer beetles. 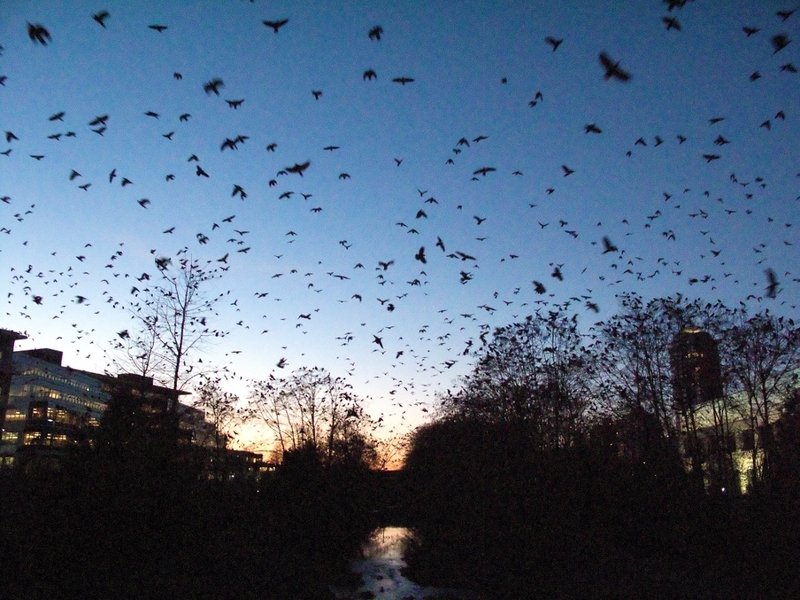 But who can deny that they are darkly, menacingly, beautiful creatures? They exude a near-human intelligence and confidence. When I am up in my study writing early in the evening, I marvel at the sight of them, in the thousands, silhouetted against an orange/pink sky as they make their nightly return to Central Park and other such locations in the eastern parts of Greater Vancouver and beyond after having spent the day in Point Grey and other points west. The spectacle puts me in mind of M. Travis Lane’s wonderful poem “Evening Again”—published in Pottersfield Portfolio in the spring of 1998—which includes the line “An army passes overhead, or seems to …”. A few years ago we were at my brother’s house and he asked us what we’d like for a cocktail. Having recently seen it mentioned in a story written by Maugham or Waugh or perhaps some other author of that vintage, I asked—somewhat mischievously—for … a Sidecar. I had no idea what a Sidecar was and I was sure my brother wouldn’t either, other than that it was a retro drink that nobody today remembers, much less knows how to make. I kept a straight face. There was a long, awkward pause. Then we all had a good chuckle and he made me a very fine Martini. But the idea of the Sidecar lingered in my mind and I have since looked it up in my trusty guide in these matters, the Savoy Cocktail Book. A Sidecar is ridiculously simple to make and a delight to sip slowly. Pour equal quantities of brandy and Cointreau (about 1 1/2 oz. of each) plus the juice of half of a small lemon into a Martini shaker with three ice cubes, shake vigorously and strain the contents of the shaker into a chilled Martini or highball glass. The lemon nicely cuts the sweetness of the Cointreau and the brandy gives the drink a dark, slightly smoky background flavour that one can imagine Charles Ritchie or Terry Thomas or David Niven savouring at their clubs. Find a comfortable seat on the sofa, put something soothing on the stereo (perhaps Brook Green by the Hugh Fraser Quintet or Along Came Betty by the David Berkman trio), fetch the current issue of the Literary Review of Canada or the London Review of Books and you’re on your way. Yours, Al: The Collected Letters of Al Purdy (Madeira Park, B.C. : Harbour Publishing, 2004) is a splendid collection of the correspondence of one of Canada’s most intriguing, rough-and-tumble poets. We had a perfectly memorable dinner at L’Anice Stellato when we were in Venice in October, 2012, and we are still thinking and talking about it. The restaurant is a little hard to find, deep in Cannareggio on the Fondamenta della Sensa, but you must spare no effort to find it. (It is quite close to the church of La Madonna dell’Orto.) The space is rustic and unpretentious; an inviting, honey-golden glow radiates out of the windows and draws you in. 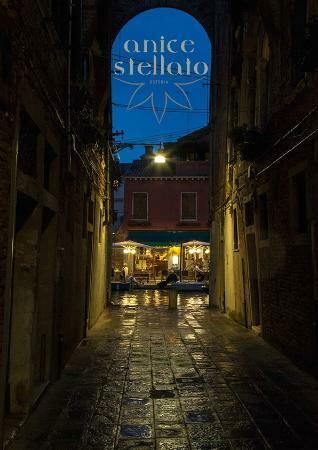 The menu is short but the offerings are all magnificently appealing and authentically Venetian, including outstanding baccalà and sarde in saor. More meat options than are usually found on menus in Venice are also available. The service was warm and helpful and we thought it a good sign that most of the others there on our visit were locals. L’Anice Stellato does not even have its own website—another promising sign.